With the wedding season approaching around the corner, every girl, woman want to hunt down that one perfect outfit which would make them look the best. 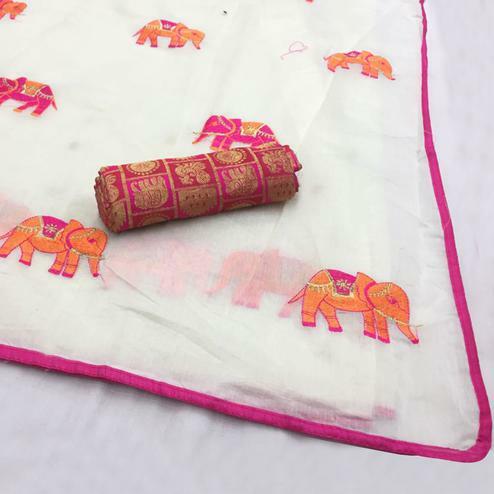 Well, ever thought of embroidered sarees? Yes it is one of the best options you can go for. 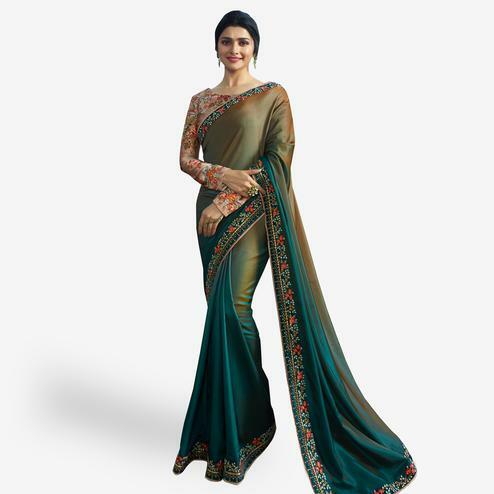 Peachmode offers you the best ever collection of embroidered sarees online. 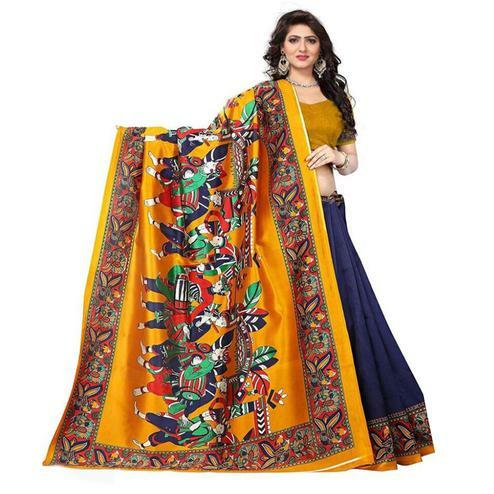 These designer sarees come in exclusive range and enormous variety. 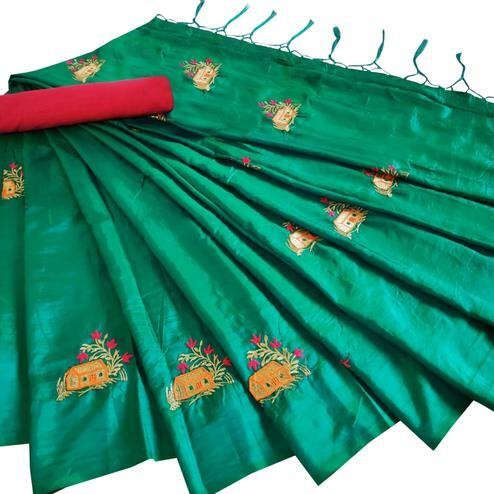 Embroidered sarees for wedding works just right. They are so elegantly created that you can never go wrong. It is made with intricate patterns and fine detailing. Works like pearls, beads, quills, and sequins are incorporated in them making it look so royal and classy. 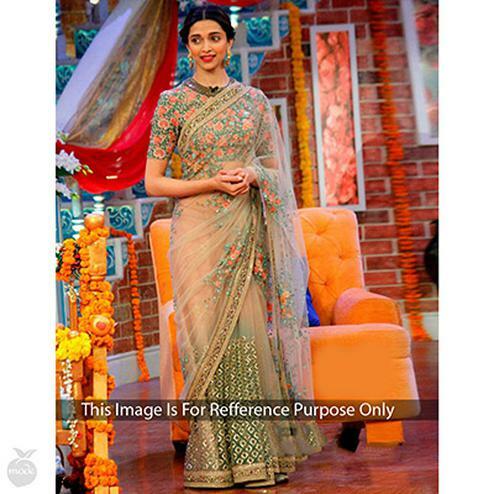 You can buy heavy embroidered sarees online only at Peachmode. 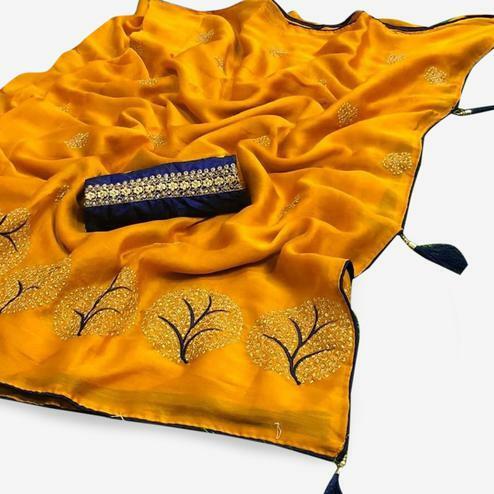 Our hand-embroidered sarees comes in number of fabrics and pattern. 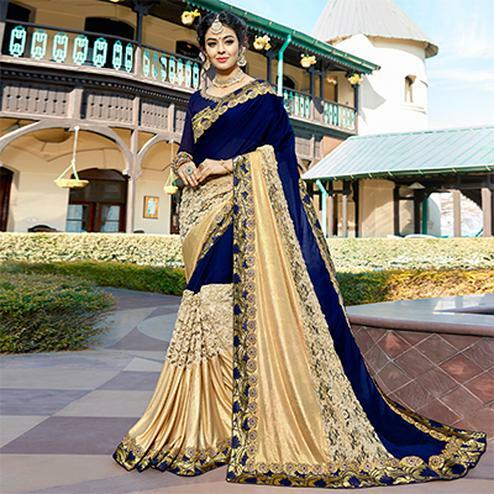 You can choose from georgette embroidered sarees, embroidered silk sarees, embroidered net sarees, art silk sarees, banarasi silk sarees, chanderi silk sarees and so much more. Embroidery was a sign of high social status in ancient India. It became widely popular. The work used was so intricate that it attracted the royals of those times. Peachmode initiates on giving you such great quality and fabric in our embroidered saree collection. We believe in happy and satisfied customers everything else is secondary. Helping you look more royal and exclusive would only make us happier. 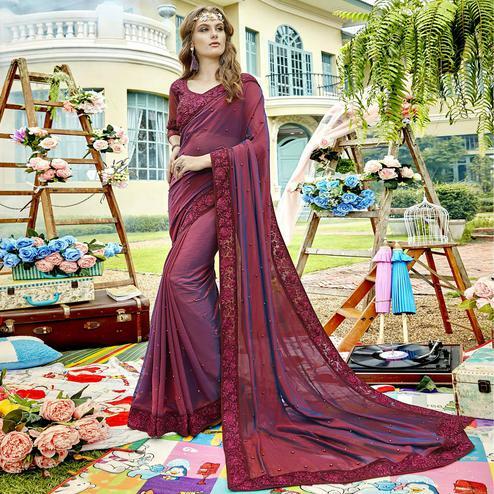 With the continuous evolution of trends our embroidered sarees also evolve. Colours, patterns, fabric, motifs inspired by different work all take a new life with the new season. We assure you, your purchase with us will never go in vain.